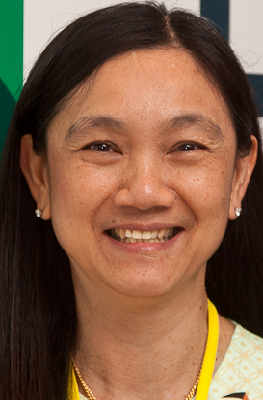 The Wattwatchers team has been boosted with the appointment of a full-time Director of Finance, Esther Lee, who brings with her a diverse background in technology hardware, software and music industry roles. Esther has extensive technology finance experience, most recently as Acting Asia Pacific Finance Director for Lexmark International Asia Pacific for about a year managing FP&A of 18 countries and 13 different languages; and before that as Financial Controller and company Director for 3.5 years for Lexmark International Australia Pty Ltd, a provider of printing and imaging products, software, solutions and services that help customers to improve their printing processes. Her earlier experience includes ReadSoft Pty Ltd (Swedish software company) which provides solutions for document capture and accounts payable automation; Sterling Commerce (an AT&T company), a software and services company providing Supply Chain Execution Solutions including Omni-Channel Commerce, B2B including EDI translation software and one of the first B2B Integration platforms and managed file transfer products such as Connect; and in the music industry with BMG Music for over 7 years. Esther graduated Bachelor of Commerce with an Accounting Major from the University of Auckland. She is a Chartered Practising Accountant (CPA) and holds a Graduate Diploma in Management with AGSM. Wattwatchers CEO Gavin Dietz welcomed Esther to the Wattwatchers team, based at St Leonards in Sydney. Dietz also thanked Rob Louis who previously held the finance and operations role part-time. Esther’s first day with Wattwatchers is today (October 22).